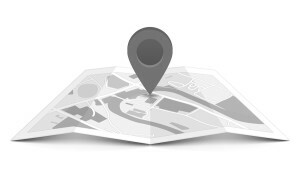 This interactive locator tool provides facility locations, contact information and website links for substance abuse, mental health and other behavioral health care centers across the United States. This website currently offers the most comprehensive directory of drug and alcohol treatment programs in the country. However, it does not provide information about the quality of the programs included. It is suggested that you use the workbook Questions to Ask Treatment Programs when contacting identified programs. Also, some of the information in the directory may no longer be accurate. You may need to contact numerous programs in order to find the right one for your child. Watch the Video Tutorial for step by step instructions on how to use the locator. Once you receive a list of facilities, use the filter box at the top of the page to narrow or broaden your search by state, county or distance; and/or by service, including facilities that offer care for substance abuse; mental health; substance abuse AND mental health; health care centers or veterans affairs medical centers. Use the “Options” indicator to change the way you view the facilities on the page. Even more filtering options are included in the Filter/Sort tab which is located just above the list of facilities. You can sort by distance, alphabetize facility names, cities or states. Anyone that is looking for a behavioral health facility will find this locator helpful, including parents of young adolescents (12-16); parents of older teens/young adults (17-25); and parents of adult children. This resource is made available through The Substance Abuse and Mental Health Services Administration (SAMHSA), the agency within the U.S. Department of Health and Human Services that leads public health efforts to advance the behavioral health of the nation.